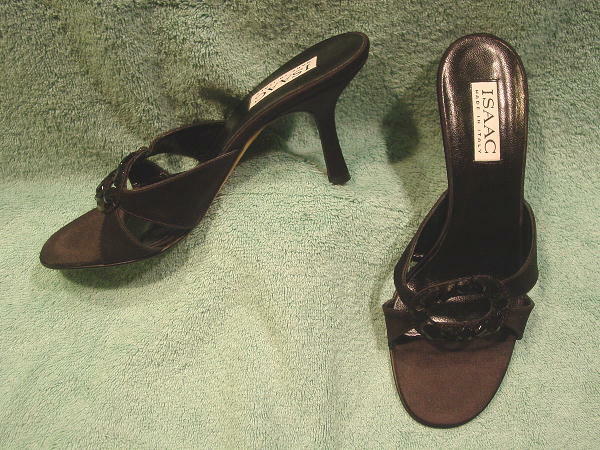 These never-worn fancy slide high heels were made in Italy by Isaac. 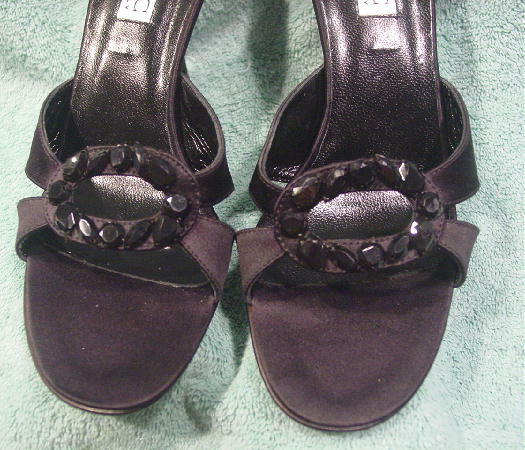 There are (feels like satin) black straps and an oval with faux black jewels on the vamp area. 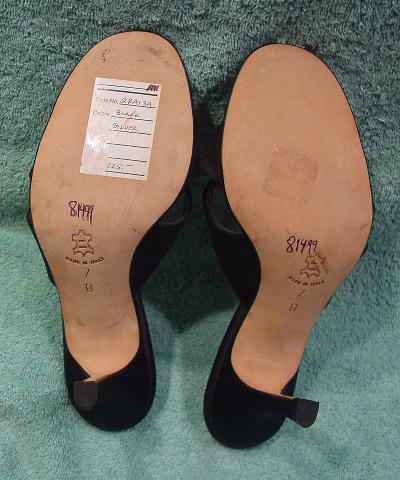 The toe bed is also fabric and the rest of the insole is black leather. 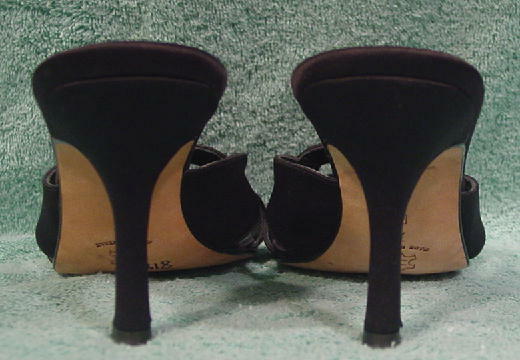 The heel also has the black fabric and the soles are leather. A model got them as a present from her boyfriend to wear to a movie premiere and afterparty (he was in the film). She sold them because she wears a size 8 1/2. He paid $225.00 plus tax for them. She was going to return them to the store to get the money back (the price tag is still on the bottom), but she couldn't because she was booked for photo shoots in Europe.